From left, Rep. Kate D. Campanale, Department of Developmental Services Commissioner Elin M. Howe, David and Marjorie Cohen, Bill Stock, Seven Hills Foundation, and Sen. Michael O. Moore. 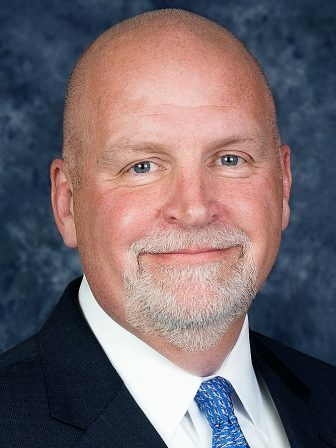 Timothy P. Wickstrom, chairman of UniBank’s board of directors, recently announced that Sam S. Pepper Jr. has been named president and CEO of UniBank and the bank’s holding company, UFS Bancorp. He takes over from William M. Mahoney, who is retiring after having served as interim president and CEO since October 2016 and chief financial officer (CFO) for the bank since 2009. “Following a comprehensive search process that was conducted by a team of UniBank board members, corporators and employees, we are confident that Sam Pepper has the knowledge and experience to uphold UniBank’s core values of teamwork, integrity, and excellence, to further strengthen UniBank’s position as the premier bank serving the financial needs of individuals, businesses and communities throughout the Commonwealth,” Wickstrom said. Pepper comes to UniBank with more than 30 years of experience in senior-level banking positions, specializing in lending and operations. “I am delighted to begin my tenure at such a highly-regarded community bank as UniBank. UniBank is embarking on many exciting initiatives. I am grateful for the confidence that UniBank and its Board of Directors have placed in me to lead the bank forward,” Pepper said. Auburn Mall recently announced that Reliant Medical Group will open in 2018. Construction is expected to begin this fall. Reliant, which has more than 500 providers who serve more than 320,000 patients, offers both adult and pediatric primary and specialty care, along with a range of ancillary services. Reliant’s Auburn Mall location will also offer cardiology, endocrinology and OB/Gyn services. Reliant expects to locate approximately 185 employees in the Auburn Mall office and provide outpatient services to more than 45,000 people annually. Walk-in care will not be available at this facility, as it is intended for Reliant patients with scheduled appointments. A fall groundbreaking will be planned. What does Paris of the 80’s mean? There are many theories floating out there, but one stands out in particular: “Worcester: Paris of the Eighties” was the city’s official motto in the 1980s. Artwork fitting the theme “Paris of the 80’s” will be displayed for three months with a special opening reception at the end of July. Artwork (any medium) must depict your interpretation of Paris of the 80’s, and must not have been previously exhibited in the Worcester Windows gallery. Please email Culture@WorcesterMA.gov with up to three digital images of your work with the subject line Paris of the 80’s. Artwork must be no wider than 32 inches and no higher than 32 inches. Submission deadline is July 16, notification of selected artwork is July 18, and delivery deadline is July 21. State Sen. Michael O. Moore, D-Millbury, and Rep. Kate D. Campanale, R-Leicester, recently joined representatives from The Arc, The Central Mass Providers, the South Valley Citizens Advisory Board and local officials to congratulate community members who have dedicated their lives to serving and advocating for persons with disabilities. 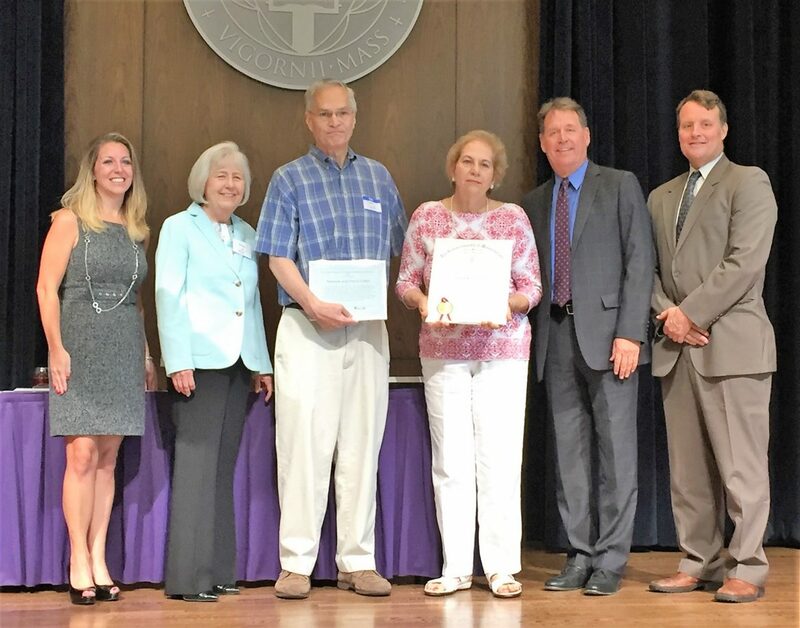 Among the award recipients were David and Marjorie Cohen of Worcester, who have served the special needs community for more than two decades. The Cohens were awarded the Linda Cournoyer Award for Excellence in Advocacy for their work with various disability organizations. They were also selected because of their unwavering support of all people with disabilities, including their daughter Caroline, who was born with cerebral palsy. The Cohens’ involvement includes initiatives associated with the Massachusetts Governor’s Commission on Intellectual Disabilities, the Worcester Area Citizens Advisory Board, and the Worcester City Manager’s Committee on Persons with Disabilities among many other programs and activities. “Evil Dead: The Musical” combines elements of the “Evil Dead” and “Army of Darkness” cult classic films for a blood-splattering theatrical experience. The story follows five college students who get abandoned at a cabin and accidentally unleash an evil force that turns them into demons. Audition dates are 1-4 p.m. Sunday, July 9, and 6:30-9:30 p.m. Monday, July 10. Production dates are 8 p.m. Oct. 6-7, 13-14, 20 -21; and 2 p.m. Oct. 8, 15 and 22. Those wishing to audition should familiarize themselves with the show; bring a headshot, if available; be prepared for cold-readings from the script; perform 16 bars of a song of your choice; and learn a dance combo taught at the audition. Questions regarding auditions can be emailed to director Jeremy Woloski.